You've done an incredible job here, all of you. There's a lot of hard work and TLC that went into this, I can tell--it shows how busy you all have been putting this together. I'm seriously impressed. Thank you. Thanks also for putting out something new for me to read as I sit at work on Christmas Day. I may not be religious, but I do celebrate the holiday and I know you all must have been burning some midnight oil to get it out on time. Merry Christmas (and whatever other salutations), everyone. That was a great little piece to wake up to. I hate to think how much effort went into making it, but it was time well spent as far as I'm concerned. Well, look, guys, I don't want to come across as too much of an attention junkie, but I have to confess the response level to this item... worries me a bit. I wasn't expecting the thread to overflow or anything, but three replies in the first week? Yikes. Yeah that surprised me too, but then all the threads have been slow lately. However, I've now read this and I enjoyed it. The timing may be an issue there--anyone who was with family elsewhere may not have access, or the time to use it, until the new year starts. >may not have access, or the time to use it, until the new year starts. Crosschecking other fora shows a decided dip in activity. Kind of like the dip I experienced when I was entranced by this taste of excellence and wound up late for an appointment. For my part, the entire stretch from Thanksgiving to after New Year's is... basically hell. I do not people very well, and this is basically the one time of the year I have no other options. That being said, I am heartily impressed with the amount of obvious thought that has gone into this. You guys took the existing world and ran with it, to a point where I'm pretty sure the original creators would be impressed. I didn't mean to discourage you with my silence, I quite enjoyed this piece. For me it's just that I don't usually say much in forums unless I feel I have something to contribute. I'll be honest-- I can't speak for anyone else, but the purely LoK stuff isn't really that appealing for me. I'll read it, because you write well, but I enjoy the characters and setting most when they're interacting with the rest of UF. Likewise the Strike Witches pieces, now that I think about it-- lack of interest/familiarity with the source material means I enjoy it most when UF-Gryphon (or whoever) is there to hook my interest. And this piece in particular was very self-contained, so that issue is compounded. It's essentially just well-written Legacy of Korra fanfic, rather than an Undocumented Features work. And there's probably lots of well-written LoK fanfic out there (well, ok, there must be some, as per the inverse of Sturgeon's Law), but I'm not going to read any of it, because it's just Not My Thing. 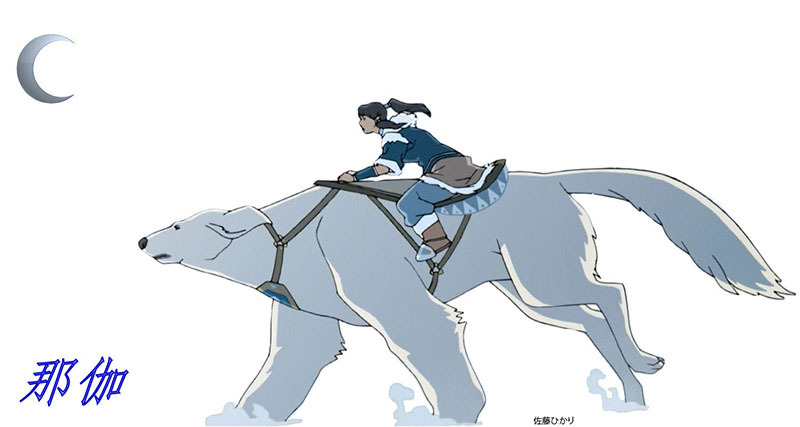 Polished and solid, it felt like a snippet from an episode of Korra that really should have been aired. I can't wait for the full thing! I AM PRACTICING PATIENCE. I WILL BE PATIENT. THIS WILL COME OUT WHEN IT COMES OUT. WAITING IS. >"In the inevitable mover about the mission, someone"
>Should that be "movie" instead? Nope, that's just what people in Diqiu call moving pictures on celluloid or other media. You've got a viewer (the person watching) and a mover (the thing being presented) as opposed to a picture (which is static). Admittedly, EPU does have a proven track record of fixing what done went wrong with a lot of source material, so in that vein I'll try to do better about checking in on it. I had a vague metaphor in mind about tasting things before I decide I don't like them, etc and so on, but I lack brainpower to put it in words properly.